Tinké from Zensorium is currently the only fitness tracker available on the market which is able to measure your respiratory rate, heart rate, blood oxygen saturation and heart rate variability to determine your fitness and stress levels with your smartphone. Download the Tinkè App in your favorite App Store. 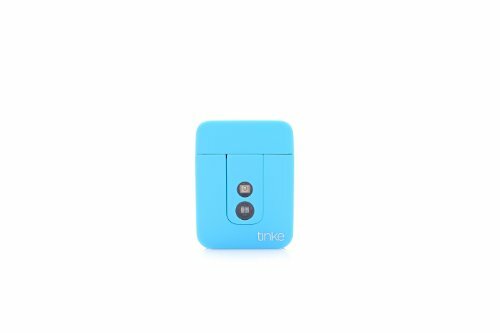 Then simply connect your Tinké to your Apple or Android device and gently and let your finger rest on the tinke sensor. The device will automatically measure your fitness and stress levels. How does the Zensorium Tinké sensor work? Tinké works on the basis of detecting changes non-invasively from your blood volume. The Tinké uses some complex signal processing technologies which makes it possible to measure so called photoplethysmography signals. 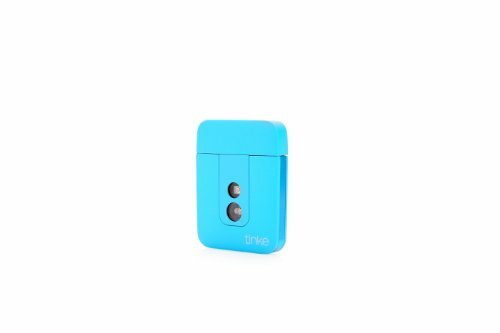 This means, there is an infrared sensor (940 nm wavelength) and a red-light sensor (660 nm wavelength) inside the Tinké. Once you put your finger on the sensors the Tinké is able to measure your blood flow through the skin of your finger. Those sensor signals are then used to calculate your personal fitness and wellness indicators. Zensorium calls those indicators Vita Index and Zen Index. Tinké portrays your fitness via the so called Vita Index. The Vita index is a personalized score created by calculating together your heart rate, respiratory rate and blood oxygen saturation levels. The highest score you are able to attain is 99. Zensorium’s patented and proprietary fitness score is an aggregated index based on data retrieved about your heart rate, blood oxygen level, and respiratory rate, in relation to your gender and age group. The Vita Index analyzes the data collected and provides a benchmark for comparison, which in turn enhances your understanding of your fitness levels. Stay Fit and Be Well by knowing your Fitness and Stress. Please take care that you will chose the correct smart tracker which will fit on your phone: There are two different devices available, one specifically designed for android smartphones and another one which is only suitable for iOS operating system. If you have an iPhone you have to chose between iOS Lightning connector and the iOS 30 pin connector!